This is for people who like to be neat but fun at the same time. It is a French nail art. 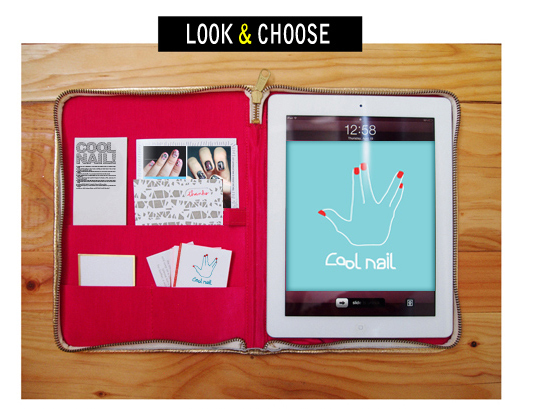 She is one of the customers in Cool Nail which prefers to do only light pink or gradation gel nails. She really likes to do nail art. So she felt too much to do this nail, which is orange pink color. She only wanted to do French nail but I thought it wasn’t enough so I had to convince her to do some point nail art. She thinks that this is too much for her. So only two stars were drawn and apply glitters for gel nail art. Many customers like to draw stars on their nails. It makes the gel nail too look more fancy but simple at the same time. Having the stars one or two for the entire finger is enough. Also having the glitter on the French nail isn’t too much of a look. She was really satisfied with the nails that it wasn’t too fancy but just right for her. This design also goes well for toenails. For the spangles or pats it is better to do with gel nails. If not the accessories would be easily falling off or might look messy. So I usually recommend do with gel polishes. Drawing the nail art is possible to do with regular polish. However to keep the designs longer, it is best to do with gel polishes. For the people who are busy to have manicure it is better to do gel art. Also revision is possible so can keep long as possible. The nail length can be controlled and design might be different but doesn’t have that much of effect to the over all style. Professional nail care system with great technique doing SOAK at Cool Nail. There are over 1,000 different nail arts and nail polishes. Check out the style for visiting our shop.